IBM Power Systems offer a great platform for running Linux workloads. Linux partitions can be run on any of the scale-out or scale-up Power Systems servers. IBM introduced the IFL feature for the scale-up servers (E850, E870, E880) as a method to provide cost competitive pricing for running Linux workloads when compared to Power System scale-out servers (S822, S824, and others). PowerVM for Linux is functionally equivalent to PowerVM Enterprise Edition, which includes the Live Partition Mobility (LPM) and Active Memory Sharing (AMS) features. A one-year or three-year software maintenance agreement (SMWA) must be purchased for the PowerVM for Linux license that’s included with the IFL bundle. Multiple IFL features can be ordered per server. Savings ranges reflect different processor speeds. For each model, the IFL feature is priced the same for all processor speeds. 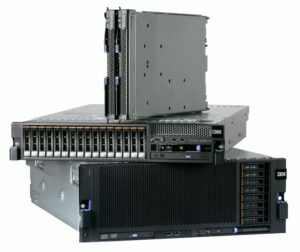 BM POWER8 scale-out servers have always offered a cost-effective solution for running Linux workloads. With IFLs, similar price points can be achieved when running Linux partitions on enterprise class E850, E870, and E880 servers. If you have or are considering the deployment of Linux workloads on enterprise class POWER8 servers, it’s recommended that you give us a call and we can take a look at the IFL bundle pricing for you. For more information please refer to the IBM Knowledge center or speak to one of our certified consultants.